Born in 1971, France. Emmanuelle Moureaux is a French architect living in Tokyo since 1996, where she established "emmanuelle moureaux architecture + design" in 2003. Inspired by the layers and colors of Tokyo that built a complex depth and density on the street, and the Japanese traditional spatial elements like sliding screens, she has created the concept of shikiri, which literally means "dividing (creating) space with colors". She uses colors as three-dimensional elements, like layers, in order to create spaces, not as a finishing touch applied on surfaces. Handling colors as a medium to compose space, her wish is to give emotion through colors with her creations, which range from art, design to architecture. Her representative works include the architectural design for Sugamo Shinkin Bank, "100 colors" art installation series, space design for ABC Cooking Studio, art installations for UNIQLO and ISSEY MIYAKE, and stick chair. In 2017, she has created a large installation "Forest of Numbers" at The National Art Center, Tokyo for its 10th Anniversary exhibition. Since 2011, commissioned by the New Taipei City Government in Taiwan, she is handling the artistic design of the Mass Rapid Transit "Circular Line", working on the color scheme of 14 km section, where her colors will spread into city-scale with its completion in 2019. Her installation series - 100 colors - express emotions from the experience of colors and layers of Tokyo. Unveiled in 2013 to celebrate the 10th anniversary of her studio, she is planning to exhibit "100 colors" in different cities around the world. Associate Professor at Tohoku University of Art and Design since 2008, Emmanuelle's laboratory explores the possibilities of color through a project she named 100 colors lab. Students are asked to create 100 colors palette of an item from their everyday life, such as glasses, bubble foam, rice, umbrella, watches, CD, chocolate block and so on. 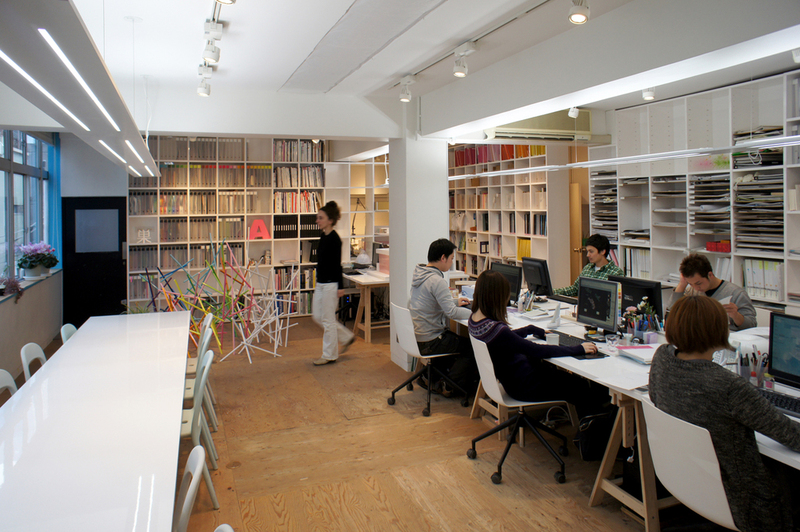 Member of "Tokyo Society of Architects", the "Architectural Institute of Japan", and the "Japan Institute of Architects". 100 colors no.18 / "Forest of Numbers"
Opening ceremony exhibition : "Art and Design, dialogue with materials"
100 colors no.12 / "I am here"
100 colors no.9 / "100 colors in 3.3m2"
100 colors no.17 / "color mixing"
emmanuelle moureaux × Nakagawa Chemical Inc.